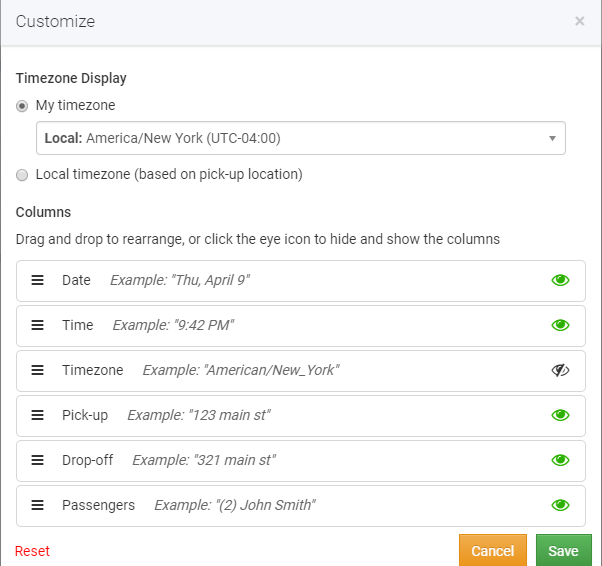 On the Dispatch hub, Users are able to re-arrange and/or remove columns from the grid by clicking on the "Customize" button located on the top right corner of Dispatch. This will bring up the customization module, from here you're able to drag and drop the columns into any order you'd like. You can enable/disable their visibility by clicking on the small "Eye" icon to the right. Arrange it so that it makes sense for you.